Did You Know: Rats take care of injured and sick rats in their group? A rat can survive in water for three days and also being flushed down the toilet. And it can return to the building via the same route. These female Winter Soldiers can mate as many as 500 times with various males during a six-hour period, a state she experiences about 15 times per year. Meaning a pair of brown rats can produce as many as 2,000 destructive soldiers in a year if left to breed unchecked. Rats eat their own feces, purely for the nutritional value. Rats gnaw incessantly on materials such as plastic and wood which means they chewing your Cheese. The presence of damaged materials and large holes in floorboards and walls are sure signs of infestation. In the event of an infestation, it is best to consult a pest control professional. Although various traps are available, they trap only individual specimens and will not prove effective in the event of an infestation. Rats tend to be wary of unknown objects placed in their surroundings, making many traps initially ineffective. 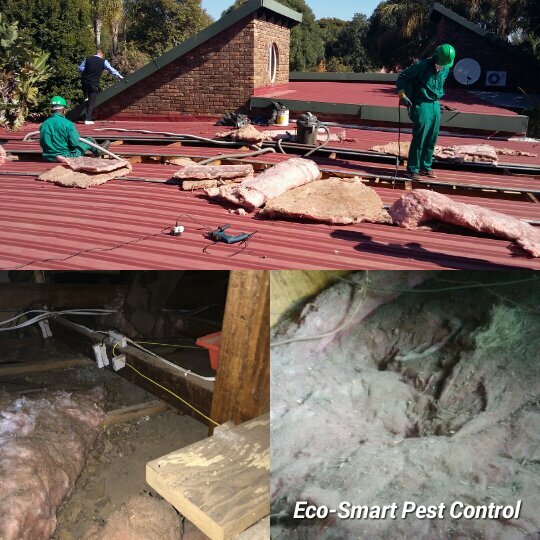 Yes, Eco-Smart Pest Control offers ceiling and roof vacuuming. Why should you vacuum your roof and ceiling? ← Rats chewing your CHEESE! !